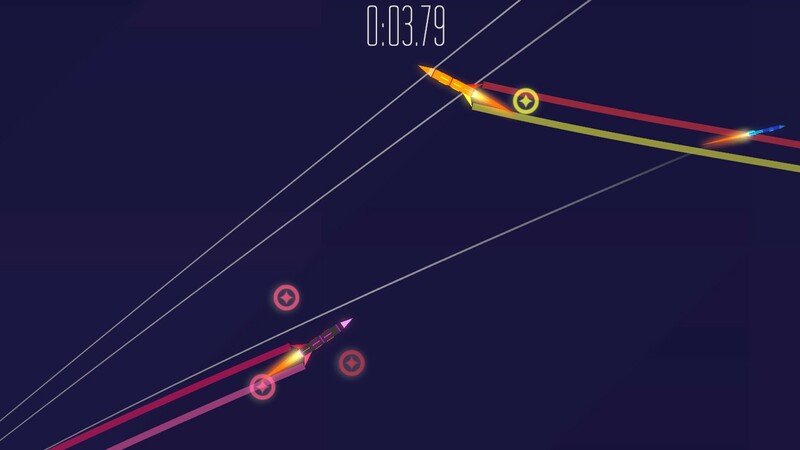 ROCKETSROCKETSROCKETS is an Early Access title. 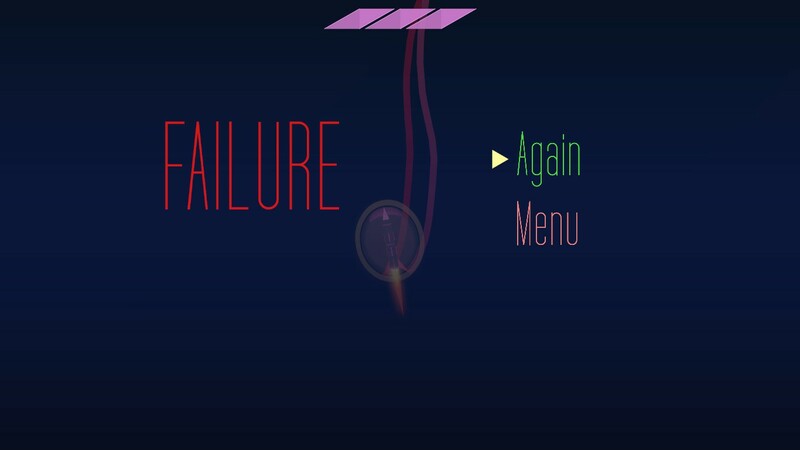 This means the game is not fully optimized and bugs may be present. However, this also means that ROCKETSROCKETSROCKETS is continually being changed, updated, refined and improved based on YOUR feedback. Two rockets lift-off from opposite platforms. Relentlessly driving electronic music accompanies their deadly fandango…The trails of light are steps. 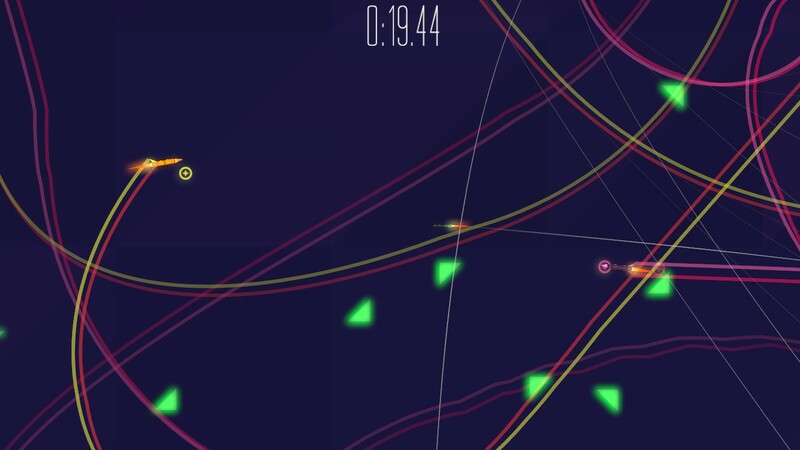 The mines, torpedoes and rockets they fire–beating hearts keeping tempo. 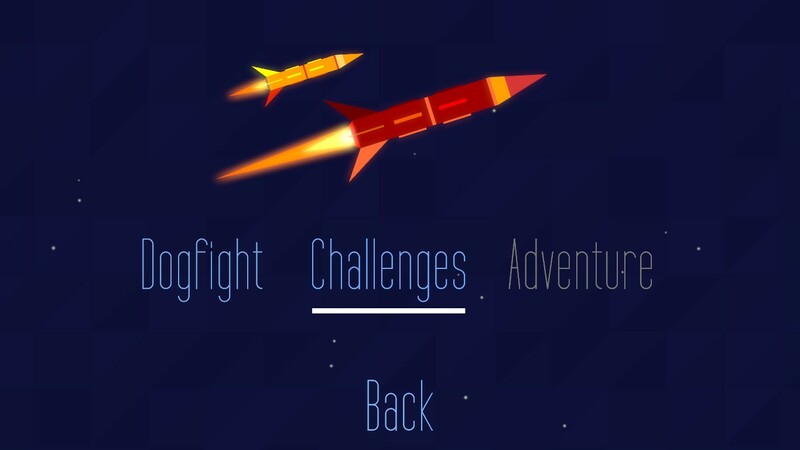 Welcome to ROCKETSROCKETSROCKETS* is a game where rockets fire rockets at rockets, and have a complete blast while doing it (pun intended). 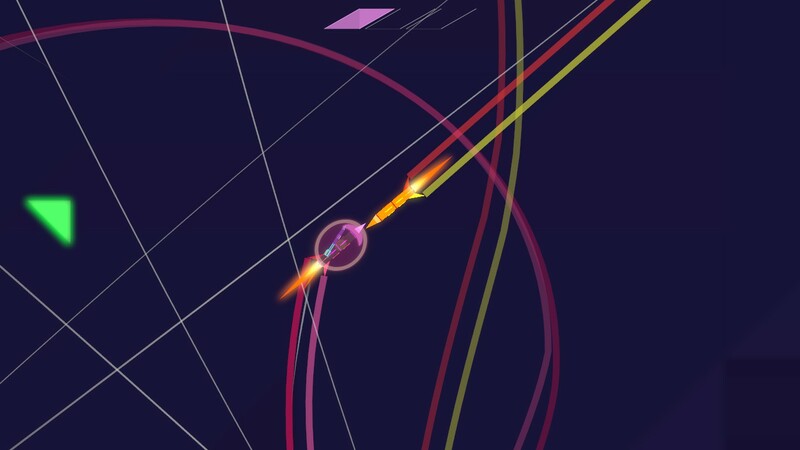 ROCKETSROCKETSROCKETS (R3) is a high-intensity multiplayer action game centered around an interesting abstract aesthetic. Is it cheating? Maybe. Is it fun? Yes–a thousand times yes. 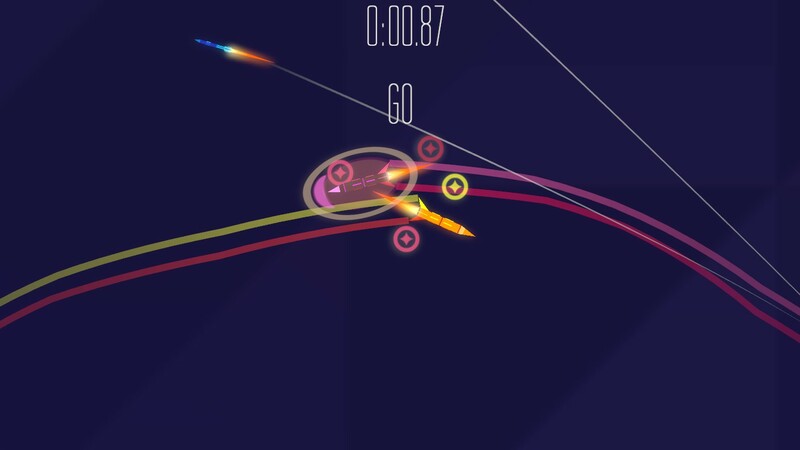 Even though it is said to be “best with a controller,” the gameplay of ROCKETSROCKETSROCKETS accommodates keyboard gamers so they are not at a disadvantage. This is impressive, as I have not often felt this freedom of movement and control equality in a multiplayer action title. These various elements show an attention to detail reserved for the most polished of games. 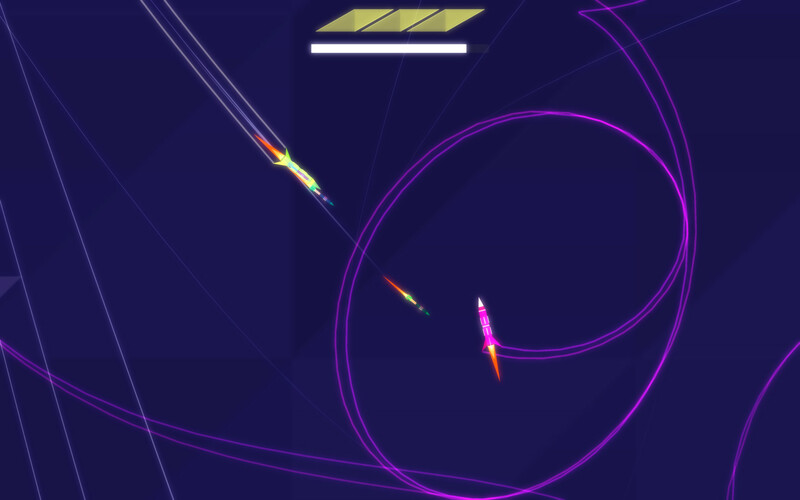 Two modes of play are currently available: the standard Dogfight and the nerve-wracking Time Battle. Face off against your friends/enemies/frenemies in Dogfight. Additionally, nearly every aspect of ROCKETSROCKETSROCKETS can be modified through a simple, free text editor such as Notepad++. A knowledge of programming is not needed–simply follow this link to find out what the code above means. 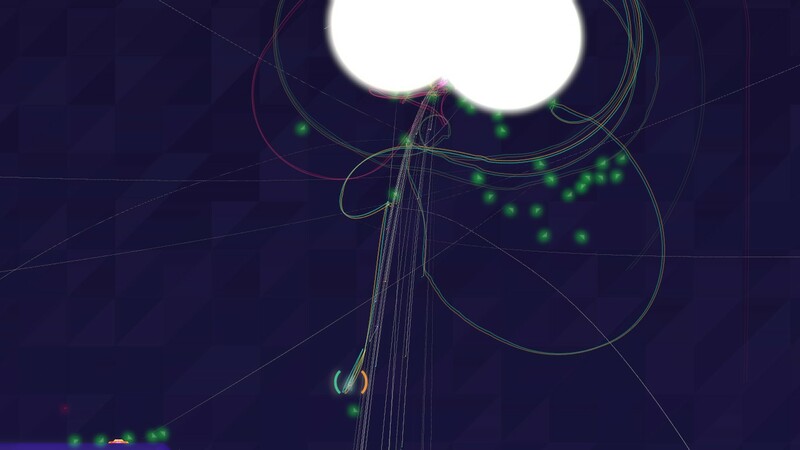 This month, ROCKETSROCKETSROCKETS had its first major monthly update: Module One. As this game increases in complexity and gameplay features, its price will rise accordingly. The title is currently available at a 70% discount, which would make the final price around $35 USD. 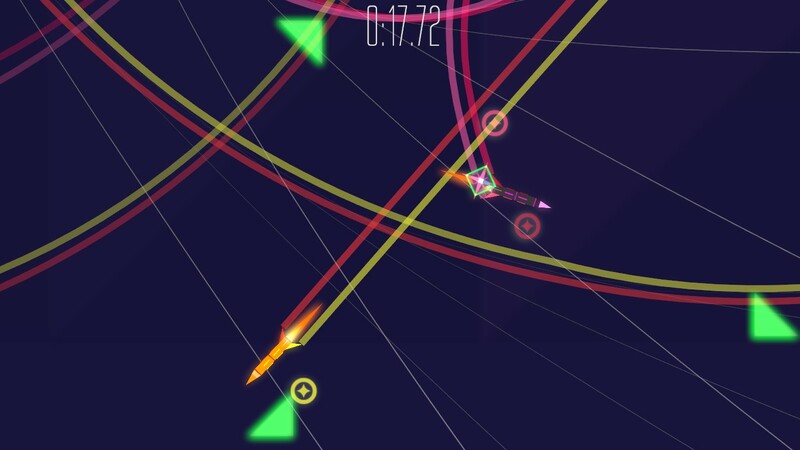 With a number of features yet to be added (including online multiplayer and a single player adventure mode) and an early low price, now would be a perfect time to jump onto one of these fantastic ROCKETSROCKETSROCKETS. 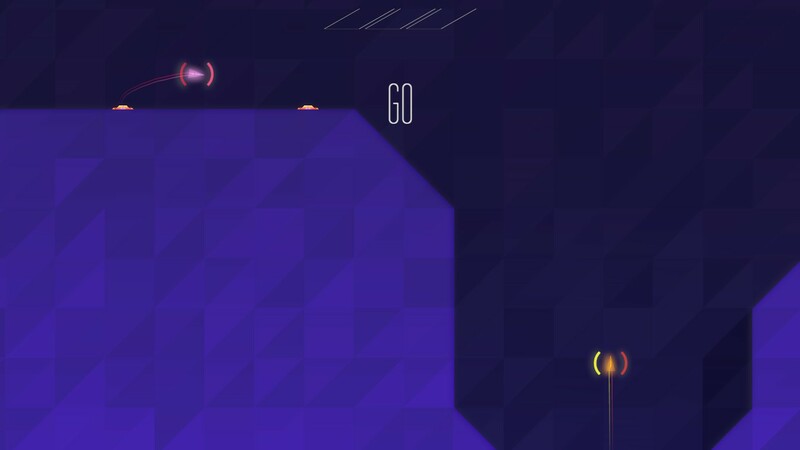 Right now, ROCKETSROCKETSROCKETS is a bit barebones regarding content (due to the early stage of development). However, the essential core of a relentlessly fun multiplayer action game is undoubtedly already present. This entry was posted in Uncategorized and tagged Alpha, Bible, christian, christian gaming, christian review, christianity, dance, Early Access, electronic music, family-friendly, gaming, God, indie, Jesus, judgment, KJV, multiplayer, paid, PC, R3, review, rockets, ROCKETSROCKETSROCKETS, salvation, Steam, video game, video games, video games and the Bible, Video Games and the Bible Highlights, Video Games and the Bible Reviews, videogames. Bookmark the permalink.